For phone consultations, please email me with the following. Quick summary of whats going on. Treatments you've already had, etc. Once you send me your demographic information, we can have a quick 15 minute consult and figure out if we should work together. 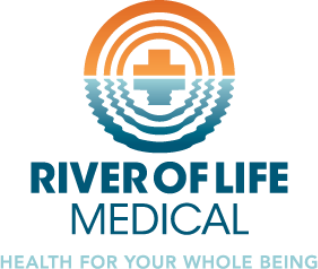 River of Life Medical is an integrative holistic functional medicine organization with a mission to bring revival and healing to the body, soul, and community through three approaches: reversal of disease by treating root causes and not just symptoms through functional medicine, organizing and education to transform systems of social injustice regarding health, and personal and spiritual transformation/healing through the power of the Holy Spirit. I do both Family Medicine and Functional Environmental Medicine. Most of my practice now is Functional and Environmental Medicine and I am licensed both as an MD and through the Pastoral Medical License that covers me for non-conventional Medicine. Epigenetics: Bridging the Gap between what we are learning in the genomics project and translating it to clniical care. Methylation, SNPS, etc. Cardiometabolic Issues: HTN, DM, Obesity, etc.